We pride ourselves in ensuring that all our pupils are provided with the best advice possible when helping them to take the next step on the career ladder. We encourage self-awareness and promote an ability to work with others to prepare pupils for forthcoming academic and career choices. We develop pupils’ ability to make informed, sensible career choices and provide them with open and easy access to information and resources that will assist them in their academic and career choices. We promote a philosophy within the School of equal opportunity towards career choice, independent of bias towards any career decision. In Year 10, every pupil follows a programme of careers research, which enables them to investigate careers which may suit them in the future and then guides them to the steps they need to undertake in order to achieve this potential goal. 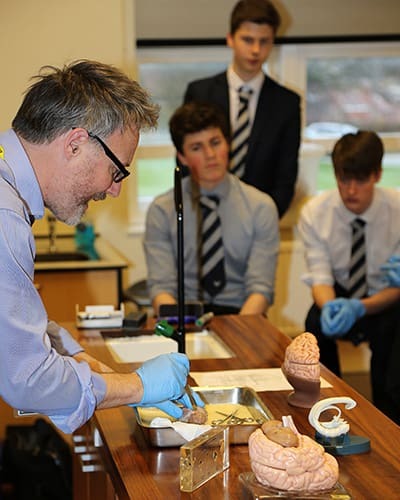 Year 10 pupils have a Careers Week during which they complete the Cambridge Occupational Analysts testing to help with A Level subject and careers selection. The week also includes a careers fair, an enterprise challenge day, information on Higher Education and apprenticeships, and a visit to a local university. Year 11 pupils have two 30-minute one-to-one interviews with qualified careers advisors to review the COA test completed at the end of Year 10 exploring career options further. Each student is given a copy of the COA Careers Directory and access to a personalised web-based careers portal, allowing them to explore different career options. Year 11 pupils have a week of work experience following their GCSE exams. This gives them an opportunity to experience life in the work place, which can help inform A Level and career choices. Work experience is essential for the development of inter-personal skills and is key to the building of an impressive CV. 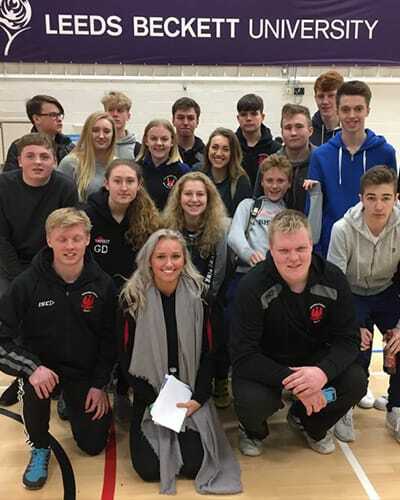 In the Sixth Form, students are provided with both information and help with applying for universities and also guided to the many opportunities available for post 18 apprenticeships internships and employment. We have a very experienced team of tutors to help with university applications, who work closely with the students to ensure they produce the best applications possible. The success rate of our students obtaining a place at one of their first choice institutions is extremely high. All Sixth Form students are given help and advice on university, apprenticeship and job applications and CVs. Year 12 students complete an online questionnaire called Centigrade, which matches students’ interests and abilities to degree, foundation degree, HND or Dip HE courses. They also undertake a week’s work experience placement in the summer term followed by a feedback session including student presentations. There is an extensive mock interview programme that caters for all styles of possible interview.